Verge Center for the Arts is thrilled to invite artists to participate in the 14th annual Sac Open Studios tour. All emerging and established artists in Sacramento County and West Sacramento are welcome to participate in this community driven art event. Taking place over two weekends—September 14-15 & 21-22, 2019—the tour generates direct exposure to art patrons, gallery owners, and designers with 100% of any studio sales going directly to you, the artist. As a participating artist your artwork and contact information will be represented in the 25,000 Sac Open Studios Guides that will be distributed to over 500 locations in the greater Sacramento region and outlying areas. 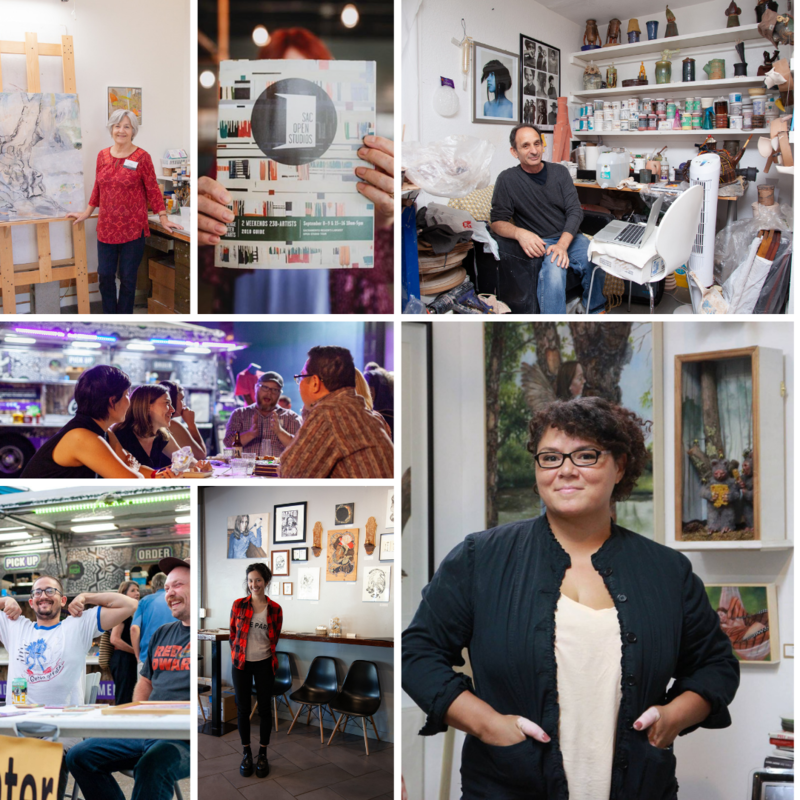 Below you will find information on the benefits of becoming an official participant in Sac Open Studios along with important dates and deadlines. Don’t miss this opportunity to build your email list and have your work exposed to a new and diverse audience. Sac Open Studios offers a discount to full-time students enrolled at an accredited college or university. To request the student discount, please send an email to sacopenstudios@vergeart.com with your name, studio address, and a copy of your student ID and current class schedule. If eligible, the registration fee will be reduced to $50. Sacramento County and West Sacramento (see maps below). The tour is divided into two weekends. Not sure which weekend you’re on? Give Verge a call, we’re happy to help!